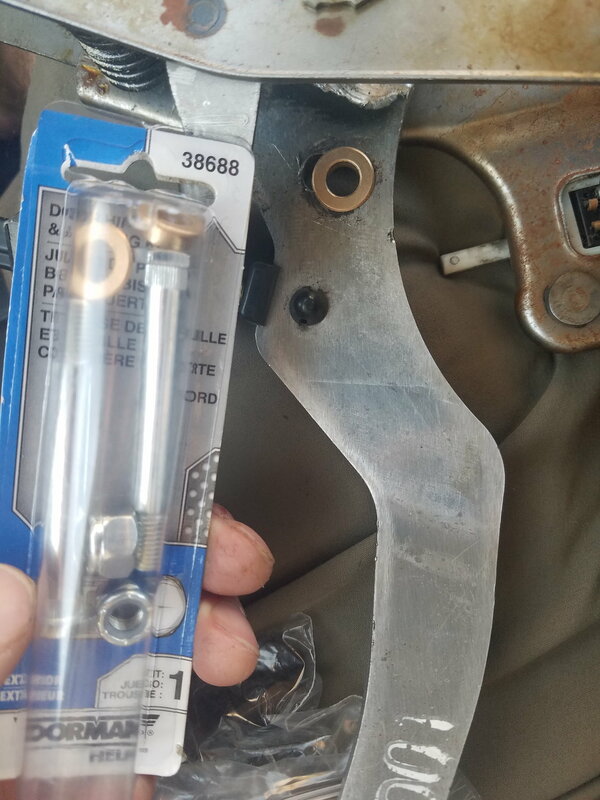 just wondering what size drill bit you used to drill out the hole for the bearing, or did you just take it to a shop and they did it all for you? Did you find out the answer for this? I dont think I ever found the answer to that question. Hopefully someone that knows the answer will post in here the differences between the pedals. 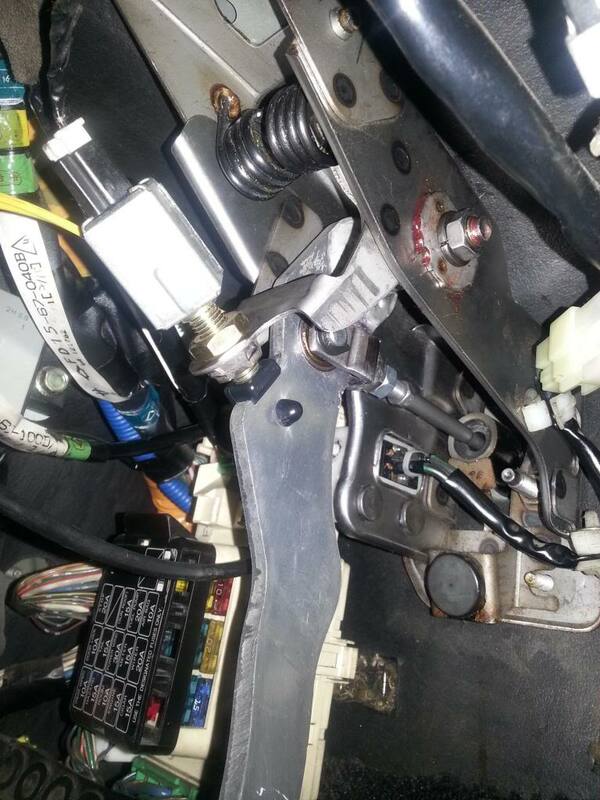 to answer your question, yes RHD and LHD pedals are different. I didn't use a drill. I bored the hole using an end mill to get the best result; you risk oversizing the hole and screwing it up using a drill (unless it's fixtured just right), particularly in soft material. I don't recall the size, it was about 1", but I probably sized a cutter for it--to a light press fit. 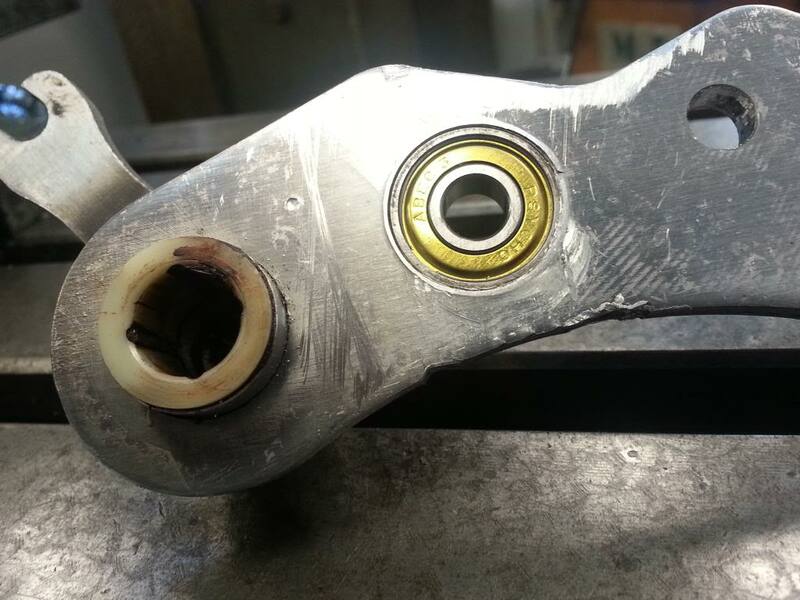 Most will not have the tools to do this--I would suggest taking it to a local machine shop along with the bearing you're going to use--I doubt it would be too expensive to have this bore "installed." The shop time is going to be in the setup; boring it only takes a minute. this literally just happened to me as i got home, can someone please confirm that P/N 0727-41-023 is indeed the right one? I'm planning to order one from MAZDA first thing monday morning thank you very much . Is a "sticky" clutch a common symptom? My clutch feels like its sticking the last 1/4 of travel. Feeling a bit stiffer too. I'm going to check mine in the morning, but I haven't noticed any issues yet. 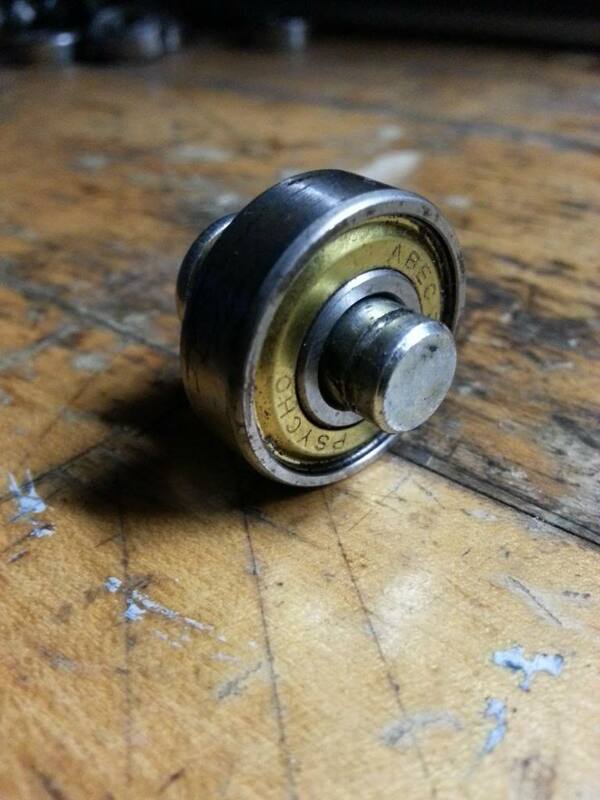 not sure if these are good enough, but I use them regularly for all my bearing needs.. only a buck. tig welding and redrilling the original hole would also be an alternative. 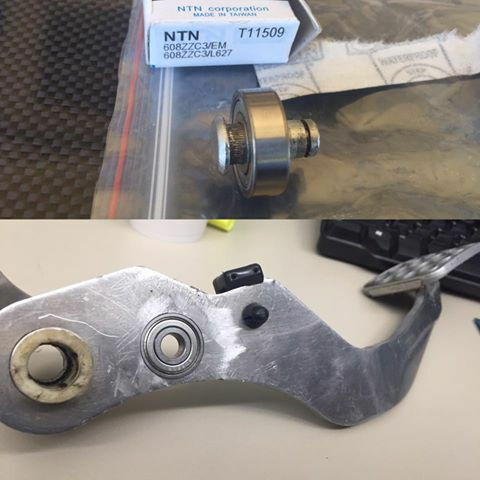 but i guess there is a lesson to be learned, if you have a heavy pressure plate then greasing this pivot isn't a bad idea. 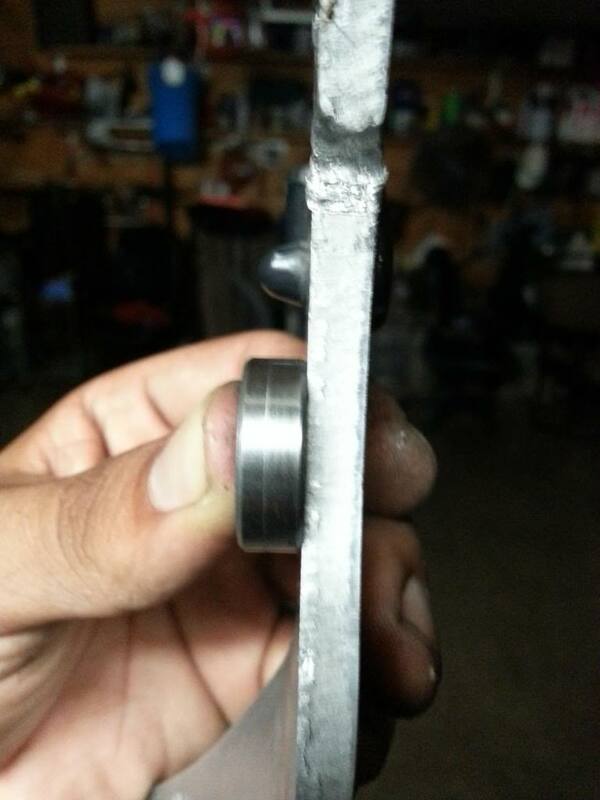 update on my problem, well after reading the whole thread again and being warned about finding where the main cause that started this problem, once i pulled out the clutch pedal and with out surprise it was the same reasons as juans and every other person that did wheel bearing modification except there wasn't a bushing for the push pin. 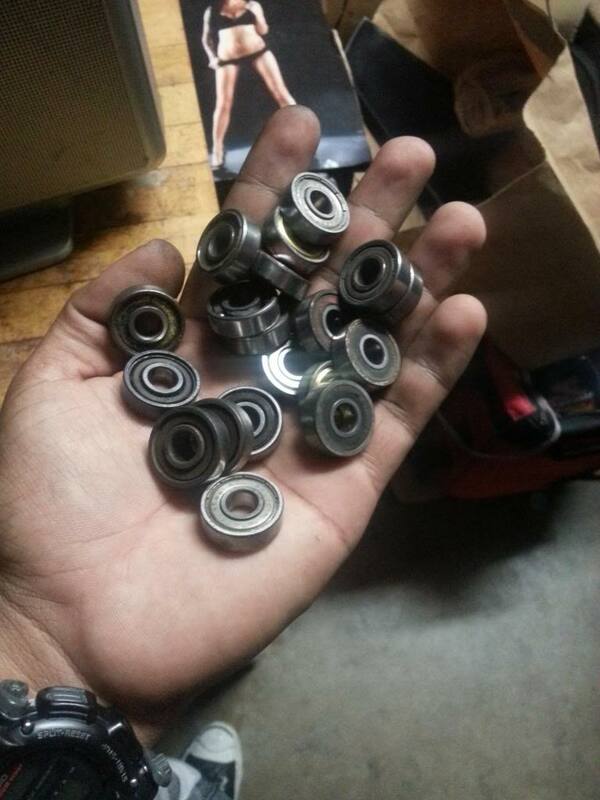 but thankfully my school has a CNC/Milll shop with cool professors and a local skate board shop that hooked me up with some used but really good wheel bearings for free. here are some pictures on what went down. after everything was done. my pedal feels a million times better than before. it has a nice smooth and easy feel every time i push in the pedal. especially since i have a new Exedy Stage 1 HD clutch. i would say it feels like a brand new car. best $4 spend. 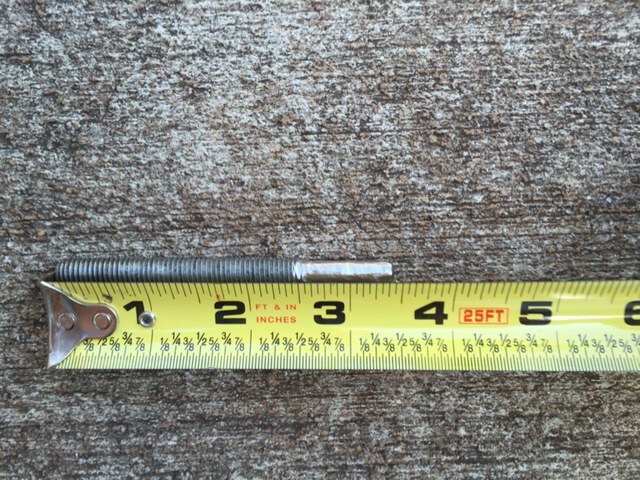 Length of the push rod? Does anyone know the length of the push rod? 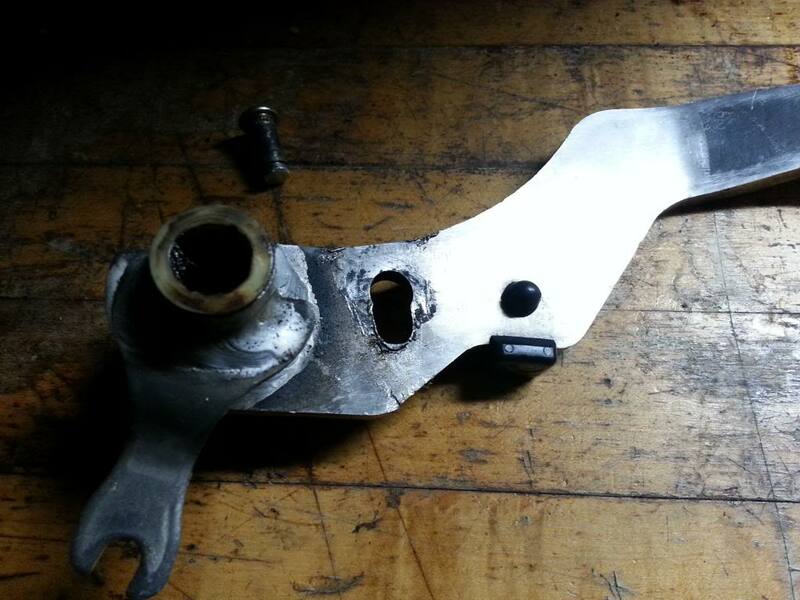 I recently took my pedal out to do the bearing mod and lost the push rod. All the vendors I've tried say its no longer available, so I'll have to fab one myself. Thanks in advance. 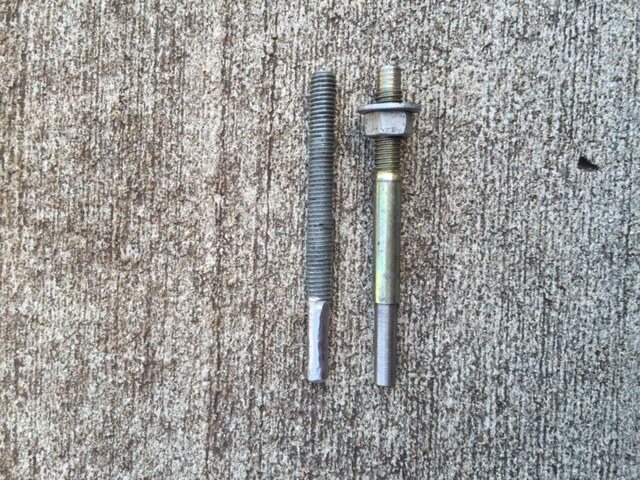 The push rod is roughly 3 1/2 inches. 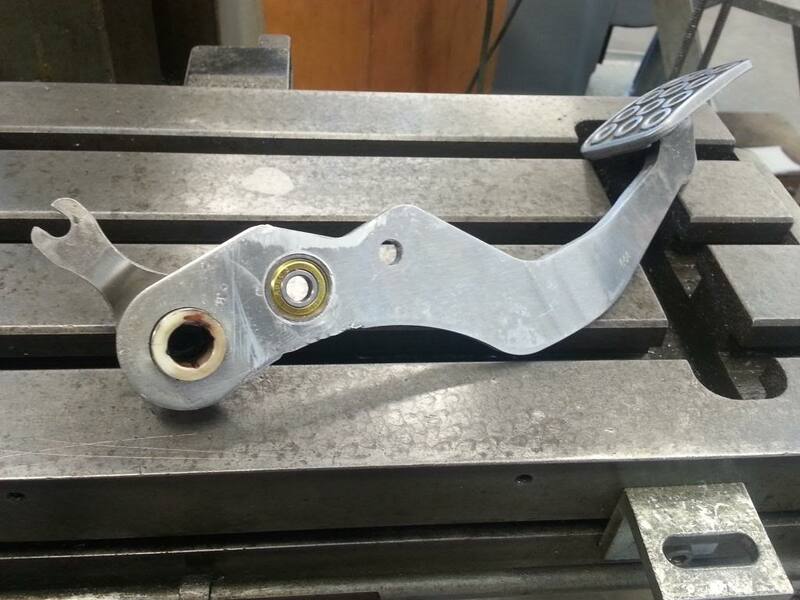 I had a bolt machined at my work, but it was about a 1/2" short on the threads. 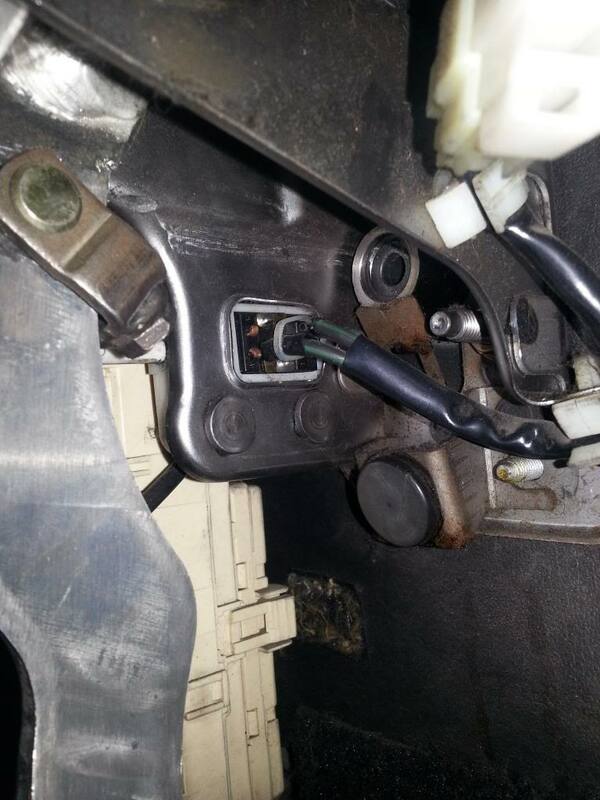 I got impatient and just took another bolt, cut off the head, and dremeled the threads off. The pedal feels great and finally returns all the way to the top. 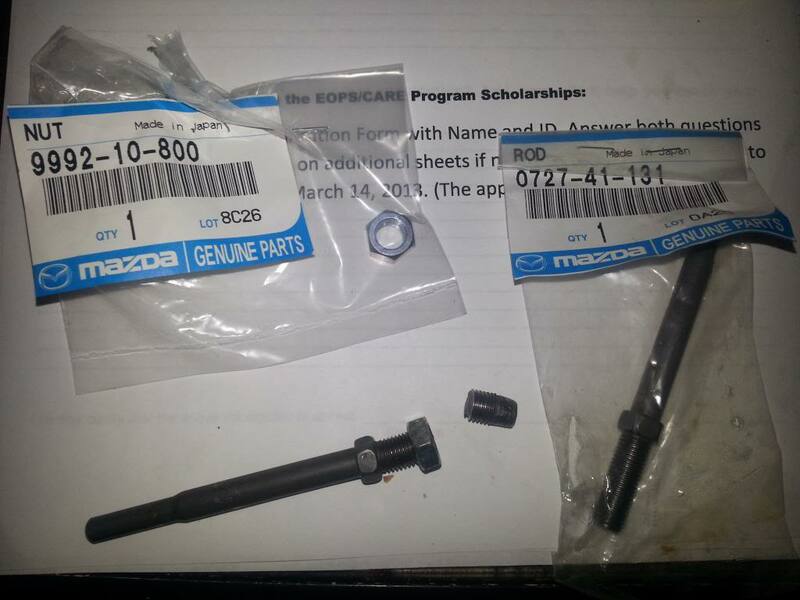 I had ordered Miata push rods which I received yesterday. Unfortunately it is about a 1/2" too long. 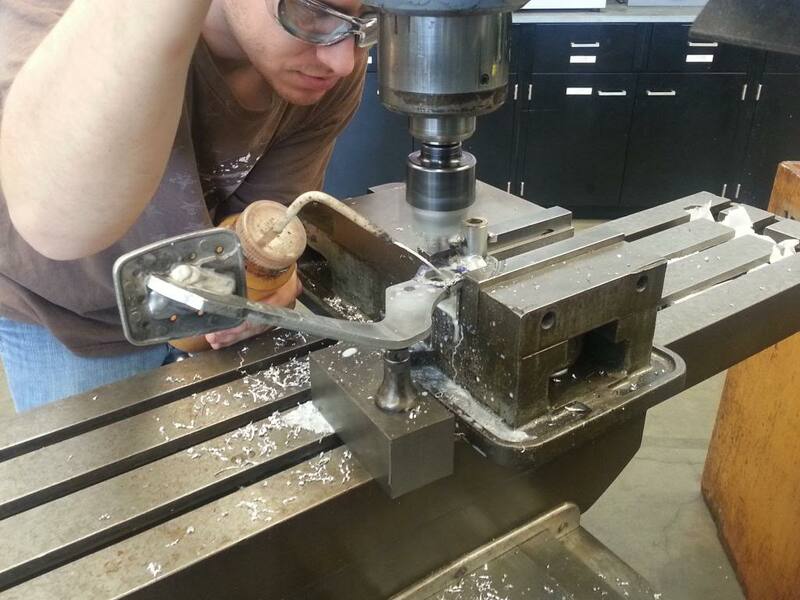 If I don't have access to a machine shop, can this be done with a drill bit? if you are in southern California OCC (orange coast college) is where I had mine done at, really cool professors and they have a huge shop. I know this is an old thread but I had an issue with the hole in the pedal wearing out too. 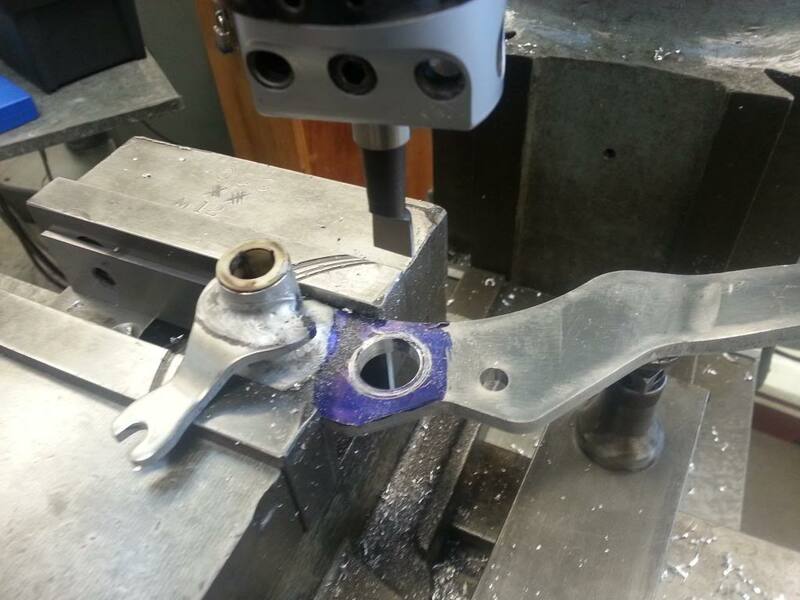 The local parts store had a kit with a brass bushing that fit perfectly when I ground off the lip.